​Figs trees date back centuries. They are one of the oldest fruits that we still have available today. There are many fig tree varieties that are great eaten fresh, made into preserves, or dried. Fig trees are among the easiest fruit trees to grow. They can grow happily in the ground or containers, making them the perfect project for all types of gardeners. 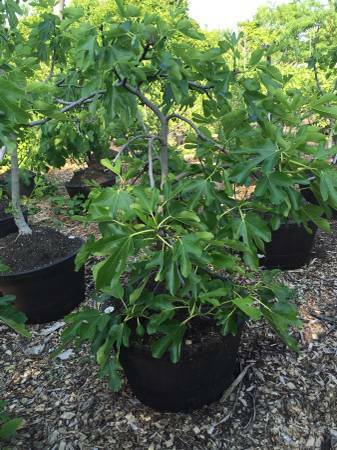 In addition to offering other amazing fruit trees for sale, SALLEE FIGS features rare varieties of fantastic fig trees for sale. towards the end of summer, specifically July and August. " 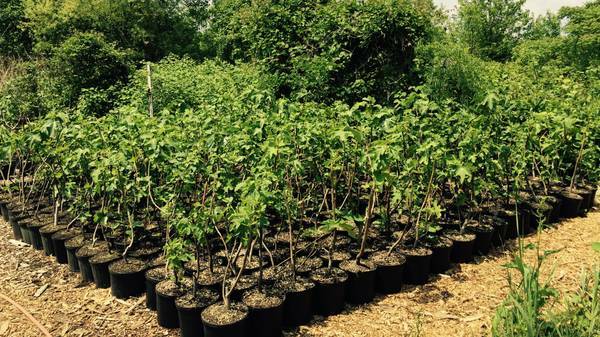 ​I have hundreds of varieties of rare exotic fig trees for sale that come from countries all over the world. You can schedule an appointment to come see what I have to offer in Rumson, Monmouth County New Jersey (NJ). My fig trees are all different sizes and ages, ranging from cuttings to approximately 5 year olds. I personally grow and raise them from my extraordinary, unique collection of approximately 5000 fig trees, in my greenhouses and fig tree farm. I also have for sale, my customized engineered irrigated potting system that I grow my fig trees in. 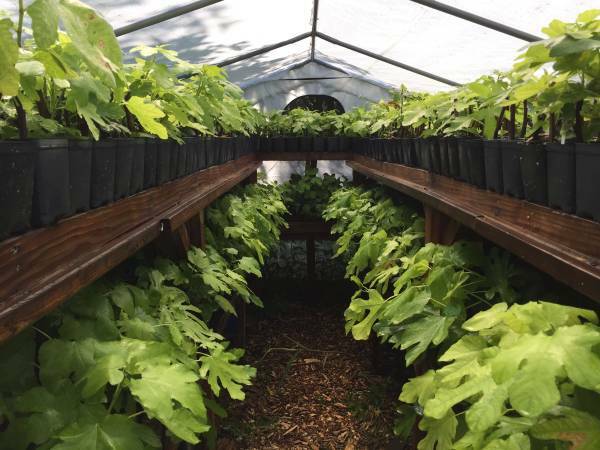 Using this system, they are always 100% watered as needed and thrive off of the approximate 200 pounds of mushroom soil, special four month slow release fertilizer, and pelletized lime that all of my fig trees live on. This also dramatically and substantially increases fig fruit crop production. You also never have to worry about your fig tree ever freezing again, since you can store your fig tree in my customized engineered irrigated potting system. 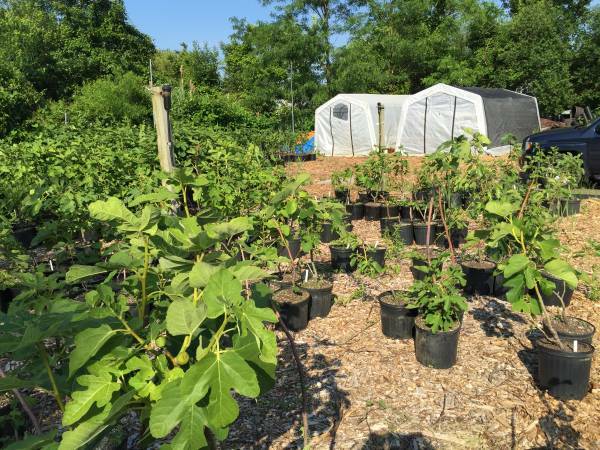 You can simply store your tree in your shed/garage/etc., through the freezing winter months, and then easily bring your fig tree back out doors, after the last freeze, at the onset of Spring. No more having to ever spend time wrapping your fig tree with insulation, tar paper, rugs, cardboard boxes, plastic, etc., or having to ever bury it again. I look forward to hearing from you. 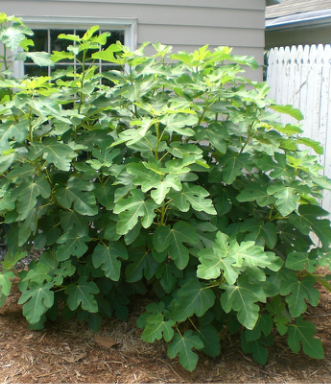 You and your family will enjoy growing and raising my rare exotic fig trees, just as our ancestors graciously did.